Entrepreneurship is often defined as the process of creating, launching and running a new business. 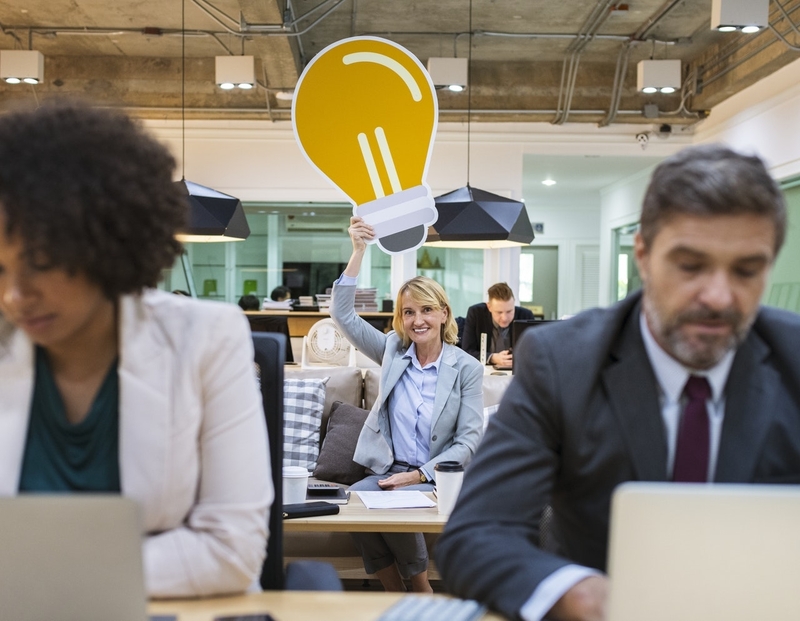 There are several business articles on entrepreneurship that list the greatest entrepreneurs and discuss the typical qualities of successful entrepreneurs without going into any real detail into the real world definition of an entrereneur. In this article we will explain who an entrepreneur is and provide you with an excellent real world definition of an entrepreneur. Entrepreneurs play a very important role in our society. They solve problems, provide jobs and contribute to the economy. Being an entrepreneur can be a deeply challenging yet rewarding experience. We revel in the triumph, big or small, that comes after hours of practice, years of struggle and devotion to a craft. If you have experienced the feeling of hitting a baseball cleanly, you know there is nothing like it. It feels as if you didn’t even hit a ball. Your body feels drugged. The satisfaction that comes from fighting for your dream. It is the ballerina who spends countless hours on the plié, relevé and sauté until her feet bleed and then nails her routine in a ballet performance in front of a packed house. The golfer who goes to the driving range, hits thousands of balls and then bribes the owner to let him keep hitting balls until 2 a.m. He plays round after round and struggles with his game. Then comes the shot. The clean drive. Or the wedge to within ten feet. The definition of an entrepreneur depends on who you talk to. Even though there are many different types of entrepreneurs, most have the same things in common. Entrepreneurs build something from nothing. They are obsessed with turning their ideas into reality. Most have a unique perspective and specific skills and know how to apply them effectively in the midst of struggle. They have high levels of self-confidence. In our previous post about entrepreneur characteristics, we explained how successful entrepreneurs have passion and grit but it is not just about that, as an entrepreneur, your ability to develop specific skills and apply them effectively in your business is the difference between thriving in the struggle—and barely surviving it. This is why we have created the The Lonely Entrepreneur Learning Community – the one stop shop for the Intelligence you need, where you will be armed with knowledge, skills & a community to drive results as you live the 4Ps – passion, pressure, pleasure & pain. The question remains, who is an entrepreneur? I believe that being an entrepreneur is not a job, it is an identity! Is being an entrepreneur just about “now” or is it part of your journey to living a more fulfilling life? There is no wrong answer. But my guess is that you can’t imagine returning to the “old self” that existed before you became an entrepreneur. I’d also bet that you have five—or one hundred—ideas swirling around your brain and a few hidden in deep storage waiting for your copyright application to be processed. 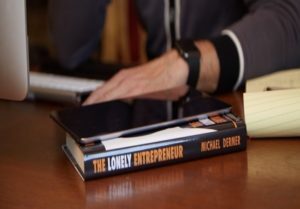 For me, writing The Lonely Entrepreneur book was the next step in my journey as an entrepreneur. After selling my health rewards business, my plan was to simply start a small consulting firm around health rewards. With the reputation we built, that would have been easy. Then I stumbled upon The Lonely Entrepreneur and the feeling shook me awake and reminded me that I am an entrepreneur. New ideas are a part of me—like oxygen. And while The Lonely Entrepreneur is of course about entrepreneurs, it is also my latest idea. Like you, I feel the pressure to bring it to life, the passion to help other entrepreneurs, and the pleasure of seeing real progress, or hearing an entrepreneur say to me, “The Lonely Entrepreneur helped me change my perspective and make progress in my business.” I also feel the pain of getting something off the ground again—the feeling that we are not getting solutions and support to entrepreneurs as quickly as we should. Now, however, I know what to do with those thoughts and perspectives. The Lonely Entrepreneur is the next road in what I hope to be a long journey. The entrepreneurial spirit fills the air of my days. This oxygen makes me excited to get going in the morning, but it is also bittersweet. First, even with all of the emotion I felt each day at that time, the entrepreneur in me couldn’t stop. I saw the breathing tubes that didn’t fit perfectly in his big Jewish nose and how a simple clamp could be developed that would help patients (of every ethnicity and religion) everywhere. I also saw how the hand washing cleansers could be data-wired to track use and prevent infections. In the midst of all this, while so many things ran through my brain about losing my father, the entrepreneurial identity was still, even then, a living, breathing thing inside me that would not shut down. I just wish I could have invented a magic pill to help an eighty-one-year-old live forever. My second thought is this: my Dad lived a great life. But he had one regret. He had a deep belief in one idea that he never did anything about. Imagine looking back on your life and regretting the idea you never pursued. I would do anything to give him that chance. Let’s make a promise to each other. We must make a conscious effort to become better entrepreneurs so that the ideas, thoughts, and visions that seethe through our veins come to life. That doesn’t mean that we must execute on every crazy idea we have. In fact, part of being a good entrepreneur is knowing which ideas are the right ones to pursue and when. But we must embrace our identity—and this means committing to a lifelong journey to bring ideas to life and to be the arbiters of our own visions. My father will not have that chance. But you and I can do something about it right now. If you are an entrepreneur, do not allow the ideas you have today, and the ones you will find tomorrow, to sit idle inside you. Become a stronger entrepreneur, develop empowering perspectives and give your ideas a life of their own. Give your visions all the oxygen they need, not just to breathe, but to thrive and flourish as they should. As I mentioned earlier, I believe that being an entrepreneur is not a job. It is an identity and we must embrace our identity. When you ask yourself, who is an entrepreneur? It is an individual committing to a lifelong journey to bring ideas to life and to be the arbiters of our own visions. My father will not have that chance. But you and I can do something about it right now. If you are an entrepreneur, do not allow the ideas you have today, and the ones you will find tomorrow, to sit idle inside you. Become a stronger entrepreneur, develop empowering perspectives and give your ideas a life of their own. Give your visions all the oxygen they need, not just to breathe, but to thrive and flourish as they should. Join our thriving community to learn and share with like-minded people who are on the same journey.